What is Caturday? It is a celebration of all things cat on Saturday. It is Saturday renamed for cat lovers! 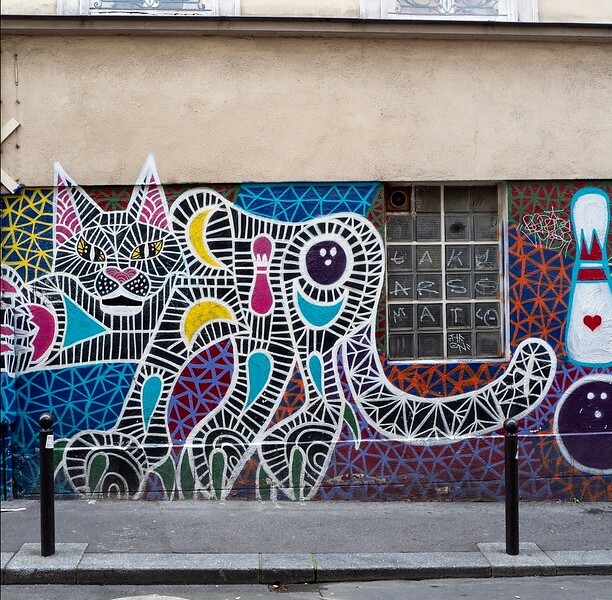 On StreetArtChat we celebrate Caturday by sharing cat street art from around the world on our Instagram, Twitter and Facebook group. How can you get in on Caturday? On Instagram and Twitter tag your cat street art photos with #StreetArtChat so we can reshare on Caturday. Tag our accounts so we don’t miss any photos. Check our Instagram, Twitter and Facebook group on Caturday and see great cat art. Add your photos to the Caturday tweets. Also don’t forget if you have a cat to give them some extra love on Caturday! Cat art can be big wild cats, house cats, cartoon cats or even artistic versions of cats! Even real cats with street art!! Share in the comments which type of cat street art is your favorite! Join StreetArtChat on Twitter the last Monday of the month, some chats feature cat street art. Chat questions come out before the chat, for more information click here. So many great cat pieces to be found across the world! I LOVE them all. They’re simply PURR-fect! This post certainly makes me want to get out and hunt for more street art! I agree, I can’t wait to find more street art! Thanks for letting us share your beautiful cat street art, I miss Toronto!! As always, I’m blown away by the variety of street art from all over the world! And the level of talent is simply AMAZING. Thank you Lynn for being part of the caturday article! Street art always amazes me too and cat street art is extra special for me. Thank you for being such a great supporter of StreetArtChat! My fave? I’d have to say the wild cats, the tigers and lions, are amazing. But my top fave is the cat eyes on the two garage doors. Thanks for sharing all these fabulous cats! Thank you Cynthia! I kept adding more art to this post because I couldn’t leave them out, so many beautiful pieces of art! What a day, Cathy! From a cat nut. What photos too. Thanks Ryan! Cats rule:) Do you have a cat?